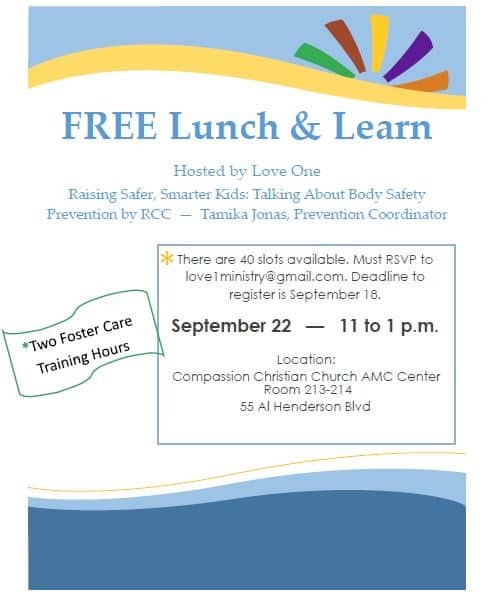 Come join us for a Body Safety Free Lunch and Learn hosted by Love One! 40 slots available. 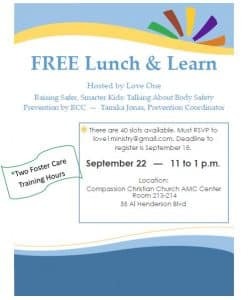 Earn 2 Foster Care Hours! Must RSVP to love1ministry@gmail.com. Deadline to register is September 18. « Foster Care Shoebox Drive Compassion Christian Church the Month of April! !